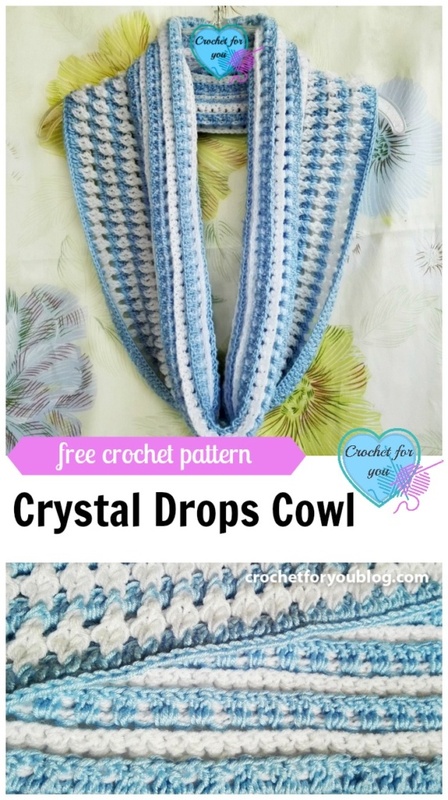 Crochet Crystal Drops Cowl Pattern by Crochet For You. 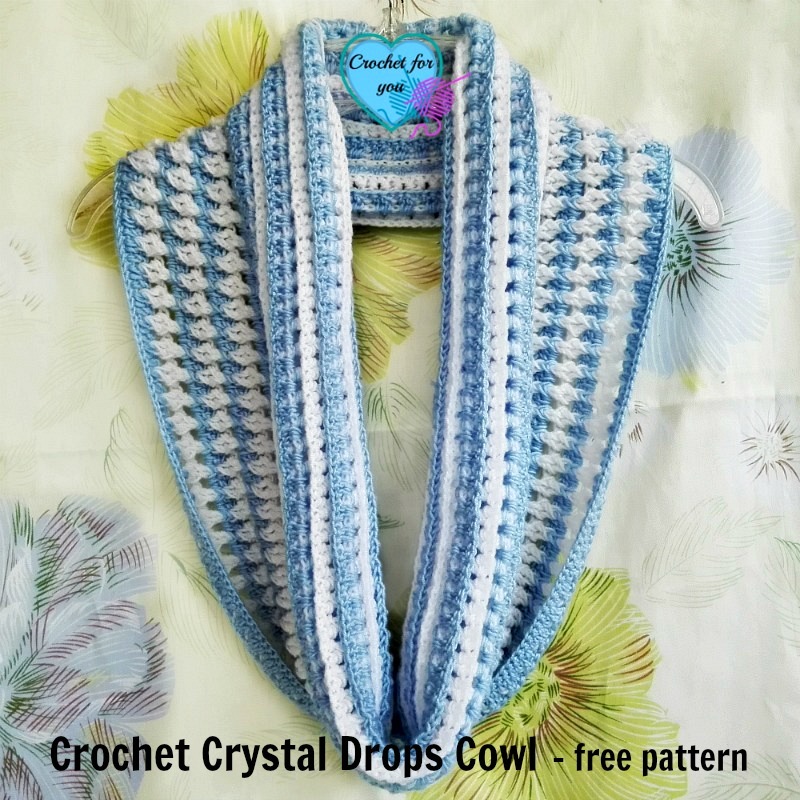 Crochet Crystal Drops Cowl is my first pattern for 2016. For this cowl, I used a new stitch pattern I found another day. The wrong side of this stitch also has a pretty texture as same as right side. That’s why I folded the top edge of the cowl to show it clearly. 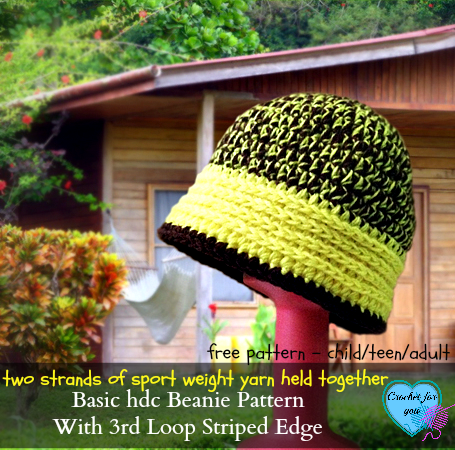 This is a free size pattern that means you can make it fit your desired length and wide. 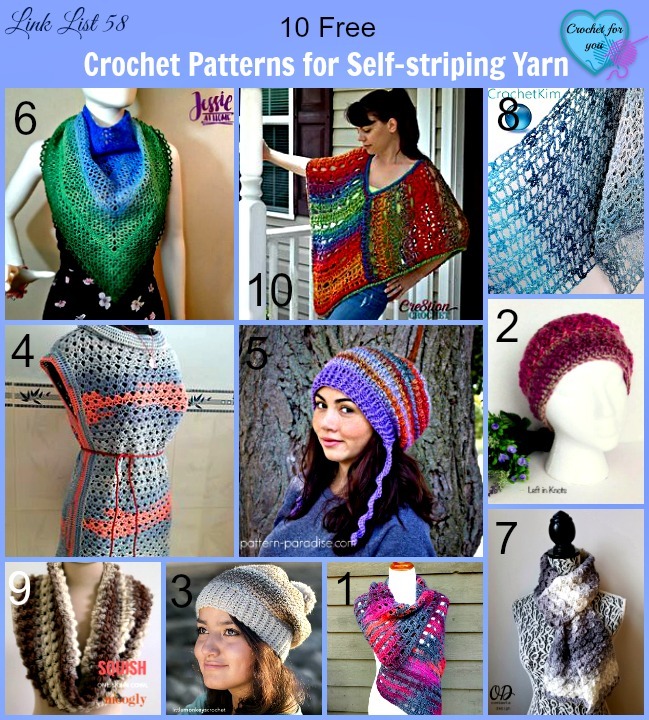 I haven’t tested with other weight of yarns, but I believe this pattern might be worked with DK and worsted. Gauge 20 dc x 8 rows = with 4.5mm crochet hook. ** = work instructions within brackets as many times as directed. beg fpdc2tog = Yarn over, insert hook from front to back and to front around the post of first fpdc, yo, pull up a loop, yo and pull back through 2 loops, yo, insert hook from front to back and to front around the post of the next fpdc, yo and pull up a loop, yo and pull back through 2 loops, yo and pull through all loops. Note: Also on the other side of this stitch pattern has a nice texture. So I folded the top edge of this cowl as shown in the main photo to show it. 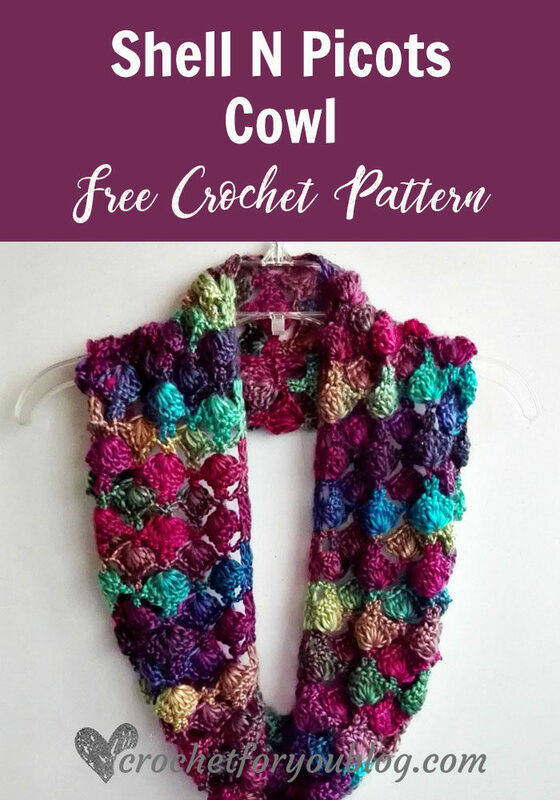 This is a free size pattern. 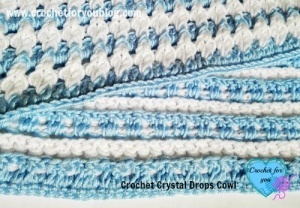 To get the desired length, crochet multiple of 3. Round 6 – 25: repeat rows 3 to 5 with continuously. With (C1), ch 1, sc in each st around in 2 sides of the edge. Fasten off and weave all ends. Beautiful! 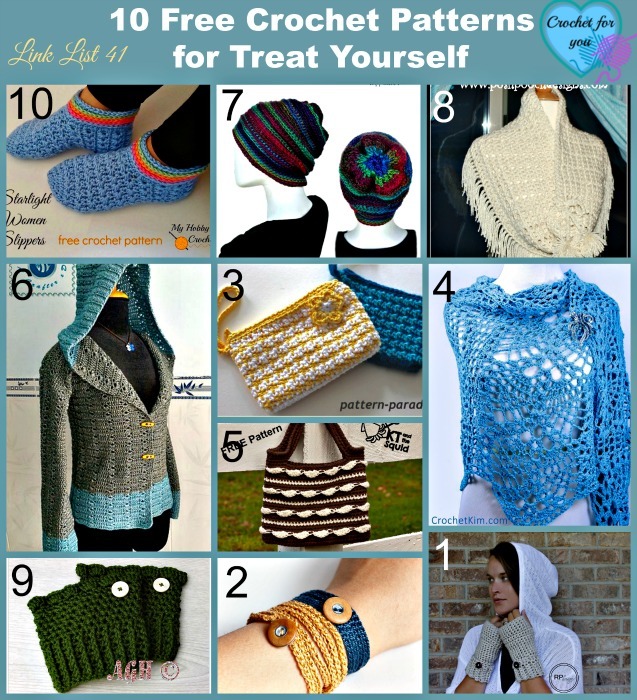 I love the stitch pattern 🙂 Thanks for sharing on my link party! 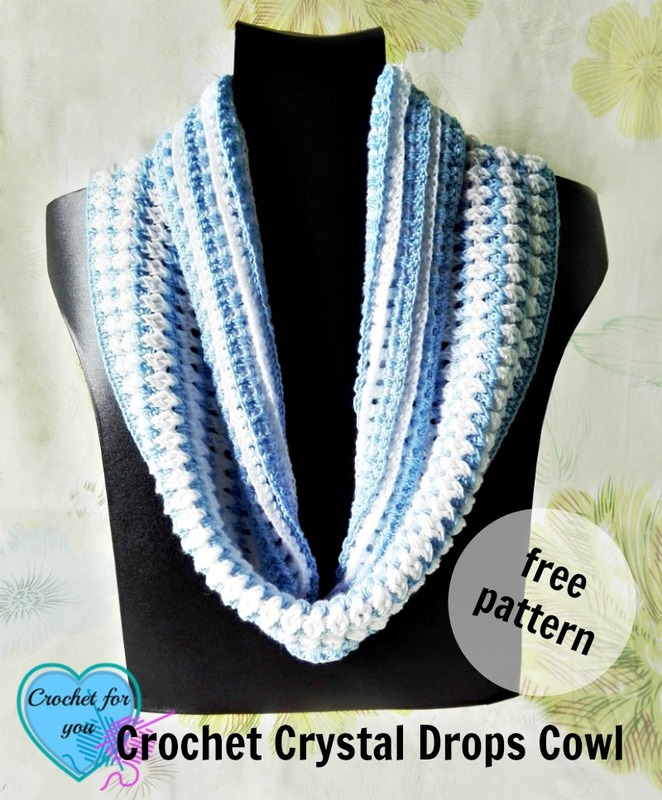 Beautiful cowl!! Thank you for the pattern!! I like this, I might be able to use a pretty hand dyed skein with a plain yarn, but I cannot see where there are colour changes, am I missing it? Oh, sorry, I see it now. C1 and C2, doh! 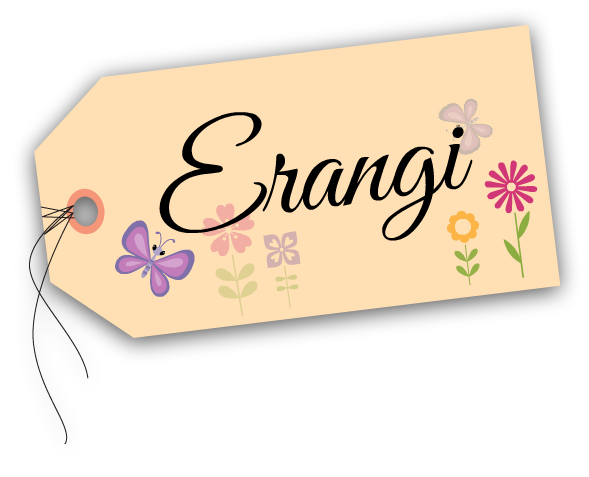 so lovely Erangi! 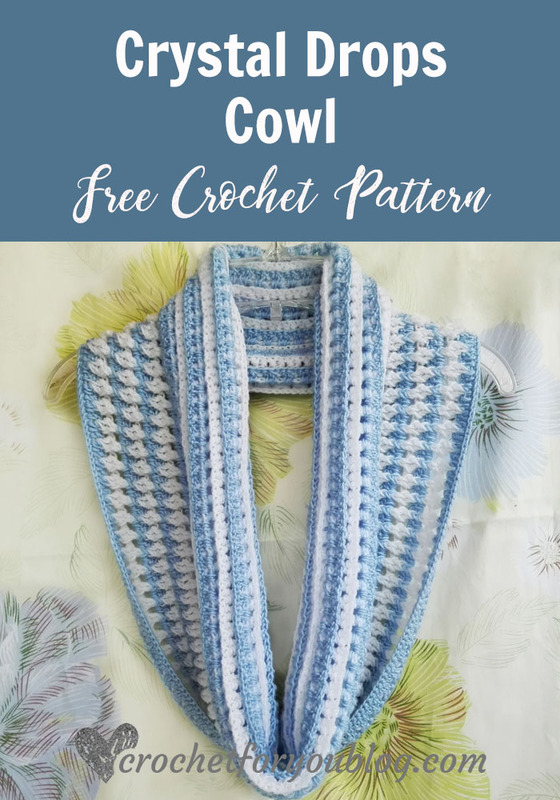 Thanks for sharing the pattern with us 🙂 It would be fun to make this in a variety of colors! Hi Kristina and Millie. 🙂 Thank you for the nice comment. I love this pattern! I have made 2 so far! 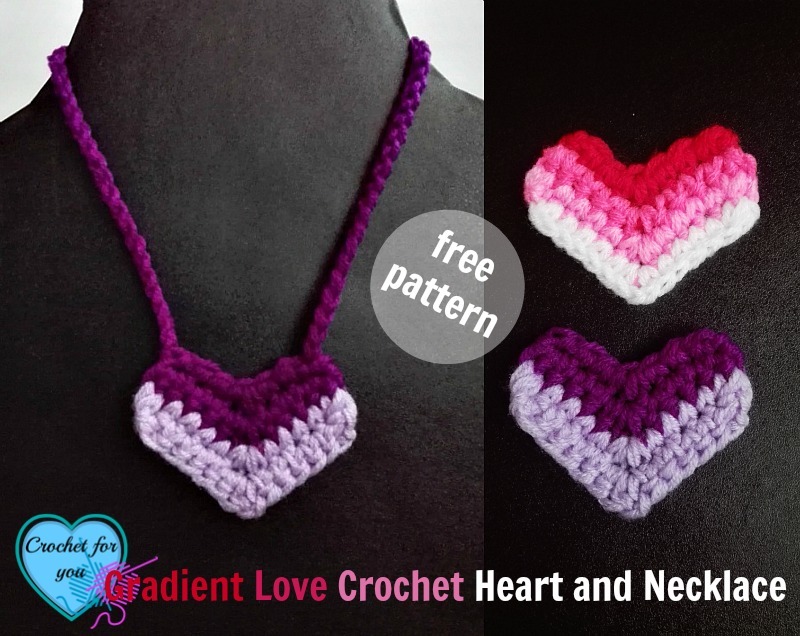 One in the length given in the pattern and one smaller in size to fit closer to the neck. I also made an Ear Warmer as well. I’m almost tempted to make a blanket using this pattern because I love how both sides look. I’ll just have a lot of weaving of ends to do!